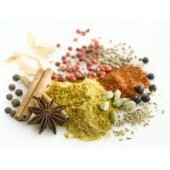 Order raw vegan food online: seasoning herbs & spices. Wide range of other raw living foods is also available in our vegan online store. Himalayan salt, also called "Jurassic Sea Salt", aged about 150 mln years. It is natural salt from Pakistan mountains, known as the most beneficial and the cleanest salt available on this planet today. ..